Dr. Amit Dhingra and his lab at WSU are being recognized for their work with sliced pears. Below is the article written by Geraldine Warner. It can also be found on the Good Fruit Website. Treatment with a ripening compound ensures that sliced pears stay juicy and flavorful. Picture of bagged slices: 1-MCP-treated d’Anjou pears sliced and treated with the a proprietary ripening compound at 1%, 2% and 3% concentration by Crunch Pak. Note the browning of the slices at 3% concentration, indicating that the 1-MCP treated sliced fruit can be ripened by the ripening compound. As Crunch Pak does not yet produce sliced pears commercially, apple bags were used for the experiments. Sliced apples account for ten percent of the U.S. apple market. A Washington State University scientist believes sliced pears could give the pear industry a similar boost if technical challenges can be resolved. If the pear market could be expanded by 10 percent, by delivering high-quality sliced pears, that would translate to a $40 million positive impact on the pear industry, says Dr. Amit Dhingra, WSU geneticist. Importantly, it would increase the demand for small fruit, in the less-preferred 120 to 135 size range. Challenges to supplying fresh sliced pears include difficulties of transporting a soft, ripened product; lack of consistency in ripening; and a short shelf life, which increases the risk for retailers or foodservice distributors who handle the product. If unripe pears are used, the slices remain hard and dry and are unlikely to result in repeat purchases, Dhingra said. However, Crunch Pak, a major supplier of fresh-sliced apples based in Cashmere, Washington, reports that juicy pears that have reached eating quality are not amenable to slicing, either, so pears need to be sliced while firm and ripened afterwards to develop good flavor and texture. 1-MCP (1-methylcyclopropene), which blocks ethylene perception in the fruit and prevents ripening, has been used on whole pears to maintain firmness and reduce scuffing and browning, but some treated fruit never softens and ripens. So, Dhingra and colleagues at WSU began doing research several years ago to find ways to reverse the effect of 1-MCP so that treated pears would eventually ripen. They identified nine ripening compounds, one of which is being patented by the university. “While we were testing whole fruit, we decided to test also some sliced pears,” Dhingra explained. They found that the ripening compound was effective on both sliced and whole fruit that had been treated with 1-MCP. That led to the idea of working with Crunch Pak to develop a sliced pear product. Last year, Dhingra obtained funding from the Fresh Pear Committee for proof-of-concept research. Crunch Pak sliced the pears for the experiments and WSU did the scientific analysis. The ripening compound is water soluble and can be applied at the same time as the non-browning treatment that Crunch Pak applies after fruit are sliced. In tests, 1-MCP-treated Bartlett pears were sliced at 17 pounds pressure, treated with the ripening compound, packaged in a four-ounce bag, and stored at 42.6°F for 21 days. Dhingra said the fruit developed good flavor, juiciness, and aroma, and outlasted the two weeks of shelf life required by retailers and food-service operators. Sliced fruit treated only with 1-MCP, and not the ripening compound, remained firm and crunchy with little to no flavor throughout the 21-day period. Crunch Pak provided some of the sliced pear samples to Walmart and believes there is good potential demand for the product. Another experiment that Dhingra conducted in collaboration with WSU food scientist Dr. Carolyn Ross, showed that the ripening compound can also be used to enhance the quality of pears not treated with 1-MCP. In the experiment, untreated d’Anjou pears were sliced at a pressure of 15 pounds and treated with the ripening compound. Consumers were asked to evaluate the slices during the Washington State Horticultural Association’s annual conference last December. Although the quality of the pears was variable before slicing, the ripening treatment enhanced the overall acceptance, flavor, and texture of the slices. Encouraged by their results so far, WSU and Crunch Pak will do further trials in the coming season with almost $70,000 in funding from the Fresh Pear Committee. One of the goals: find out how much of the ripening compound to apply, based on the initial firmness and physiology of the pear. At high doses, the slices ripen rapidly and the edges of the slices turn slightly brown. 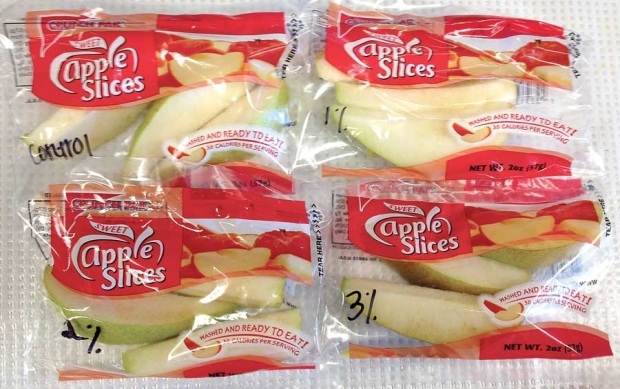 WSU will purchase two pieces of equipment to measure ethylene and carbon dioxide levels, one of which is a hand-held device that can monitor ripening fruit in the bag without needing to break the bag open, so the same slices can be monitored over time. Ross will conduct more tastings to assess consumer acceptance, and WSU agricultural economist Dr. Karina Gallardo will do studies to find out what consumers would be willing to pay for sliced pears and to estimate the potential increase in per-capita pear consumption. Phytelligence was featured in an article from The Better World Project by AUTM! Using a proprietary growing method developed at Washington State University (WSU), startup company Phytelligence is producing plants and trees faster than ever, offering a fresh alternative to tree farmers in an industry overripe for innovation. The company’s soil-less multiplication system — which requires less water and no pesticides — combined with genetic analysis services to ensure the identity of tree species offers tree farmers a way to improve profitability and reduce their environmental impact. Most trees are not grown from seed, but rather grafted on rootstocks — the root system and about 18” of tree stem — that are traditionally propagated in the ground at specialty nurseries. Once the rootstock is large enough, a branch from another tree representing a commercial plant variety (called a scion) selected for its fruit or another attribute is then inserted — or grafted — into the woody stem of the rootstock. After one or two years of growing time, the tree is uprooted and shipped to an orchard, where it takes an additional two to three years before the tree bears fruit. “Nurseries are confined by the amount of land they have to grow with; 100 acres is a lot. It’s a limiting factor and [space for new trees] only opens up every two to three years,” says Dhingra. Dhingra says traditional tree propagation is lengthy and rife with inefficiency: About 10 to 40 percent of rootstocks may eventually die, and 10 to 20 percent are not even the variety ordered — a nasty surprise that may come to light years after planting forcing the farmer to rip out trees from random spots in an orchard. Dhingra had an affinity for plants at an early age, but growing up in India furthered his resolve to work in agriculture and plant sciences. “There were food shortages in the early ‘80s in India and seeing people dying from famine made a big impression on me,” he says. He earned bachelor’s and master’s degrees in botany in India followed by a doctorate in plant molecular biology from University of Delhi, India, and Rutgers University, New Jersey in 2000. Before joining WSU, he worked as a researcher at Rutgers, the University of Central Florida and University of Florida. “From 1994 to 2015 my work has been in the broad area of photosynthesis, trying to change how plants grow and to produce them faster,” he says. When Dhingra joined WSU in 2006, there was little gene-based information on apples, pears and cherries, so he mapped the genome of each in collaboration with colleagues from Chile and Europe. “I was like a kid in a candy store; the field was wide open,” he says. Dhingra also traversed the states of Washington, Oregon and California — top producers of apples, cherries, raspberries and grapes — which gave him a better understanding of the problems faced by nurseries, farmers and fruit packagers. Neither traditional propagation nor a newer alternative called plant tissue culture or micropropagation were able to meet the demand for rootstocks. In micropropagation, cultivation occurs not in soil but in the laboratory, where a small amount of tree tissue (called an explant) is added to a sterile container filled with a gel-based mixture of nutrients and placed under artificial light. Dhingra and students in his horticultural genomics laboratory went to work experimenting with different compounds in agar-based media in which explants of various plant species would quickly multiply. “I was fortunate to have students who were open to a city kid from New Delhi who told them to come along with him and meet with farmers and who wanted to have a practical impact beyond learning,” he says. Tyson Koepke was just beginning his doctoral work in Dhingra’s lab in 2007 when he was asked to work on a growing medium for sweet cherries alongside other graduate and doctoral students assigned to different plants. Five-and-a-half years later, the group had perfected four media packages and growing processes for apple, pear, cherry and grape species, each of which included specially customized compounds for four growth stages. During each five-week growing period, explants multiply three- to five-fold and are divided and placed into containers with a new mix of customized nutrients. After several months in a carefully controlled laboratory environment, the plants are moved to a greenhouse where they continue growing for approximately 4-6 months. “There are other tissue culture labs out there, but [our] group figured out how to make cultures more viable and developed protocols for growing higher quality plants,” says Koepke. When a pair of undergraduate students suggested that Dhingra explore commercializing the multiplication method, he met with representatives of WSU’sOffice of Commercialization to discuss the intellectual property management and commercialization plan. Because the growing compounds developed in Dhingra’s lab were essentially recipes, the Office decided to classify the intellectual property as trade secrets. In 2012, Dhingra, four students and a laboratory manager founded Phytelligence — the first plant-focused biotechnology startup to come out of the university — and licensed the media packages and protocols as well as the software for verifying plant identity through high-resolution genetic analysis. WSU’s Office of Commercialization also connected Dhingra with experts who could help draft a business plan as well as potential investors — 70 percent of the company’s $1 million in startup funding came from Washington growers and nurseries. Two weeks after Koepke completed his doctorate, he became the director of operations at Phytelligence and began outfitting the lab and building the company’s team, which has grown from three full-time employees in early 2014 to 24 employees today. After shipping 110,000 plants last year, the company is on track to deliver up to 300,000 plants in 2015. In addition to performing genetic testing on each plant it produces to ensure the rootstocks are true to type, Phytelligence also offers genetic analysis services to farmers and nurseries. “Because of our genome sequencing and analysis expertise, we know how to assure each plant is true to type so it doesn’t have to be dug out of the ground and present a problem to a farmer a few years later,” says Dhingra. Koepke says the company has also been able to achieve propagation rates that are in some cases two to five times faster than those of competing tissue culture labs. In addition to benefitting tree farmers, the Phytelligence multiplication system has significant environmental benefits: The process requires no insecticides, pesticides or fungicides and, compared to traditional propagation, uses 50 to 80 gallons less water per tree produced. Phytelligence is now exploring ways to expand, including franchising or establishing partnerships with other tissue culture labs. Long-term, the company hopes to apply its soil-free multiplication technology to citrus trees, nuts and forestry. In addition to introducing a new media package for raspberry plants, the company continues to research growing compounds for other plant species. Photo caption: Young plants avoid insecticides, pesticides and fungicides and use less water.